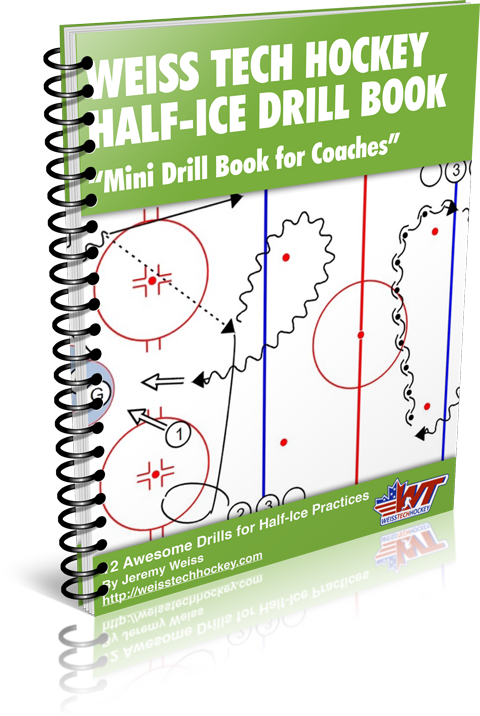 I’ve been using this Hockey Forechecking Drill in my practices, and it has worked really well for my team. The thing I really like about it, is that it allows you to work on a lot of different stuff at once. 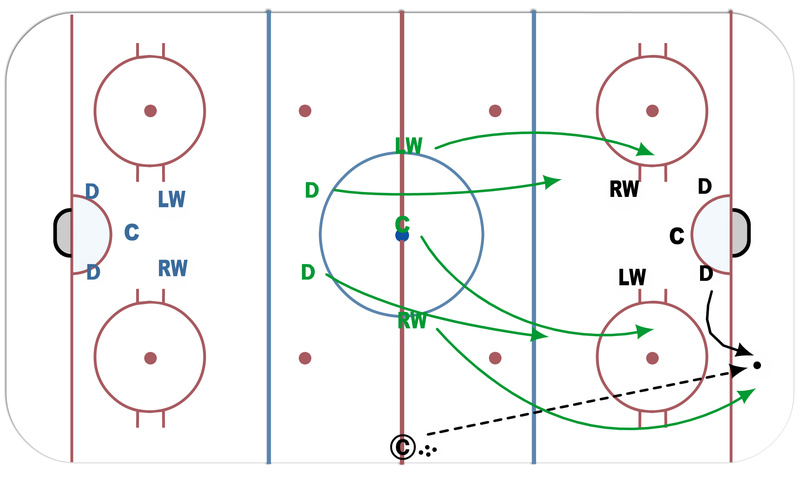 Obviously, the main focus is forechecking, but you’re also working on D-Zone Coverage, and Breakouts as well. 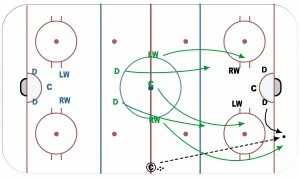 If defending team breaks out, forecheckers peel off as soon as puck crosses blue line. After breaking out, the defenders cross the red line, dump it in, and become the NEW forecheckers at the other end. 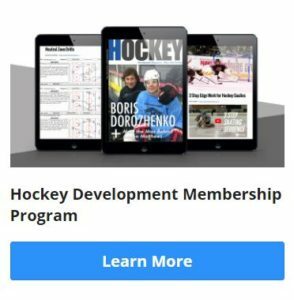 If the forechecking team scores, coach blows two quick whistles to kill the play, then dumps a new puck into the far end. Defending team hustles to the far end to become the NEW forecheckers. Give this one a go – I think you’ll get some good usage out of it!